Over the summer, I read a number of reports and articles that tracked trends in philanthropy. These “signals from the future” are the basis for a small series of blog posts. 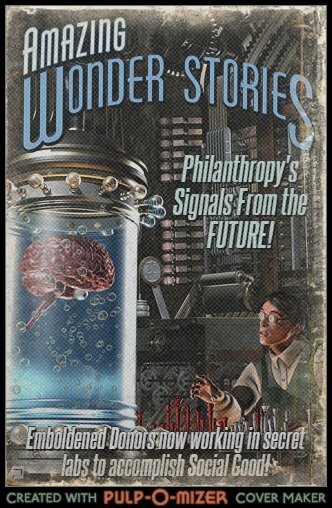 In June, the Monitor Institute released the What’s Next for Community Philanthropy toolkit for community foundations and their peers. The toolkit kicks off with a report that all types of grantmakers and grantseekers should find valuable, Shift Happens: Understanding How the World is Changing. To be sure, not all trends will reach all communities in the same way or same timeframe. But, the report would serve as a great discussion item for staff and board meetings and as a useful backdrop for strategic planning efforts. The report’s sections can be downloaded separately and the toolkit provides examples of nonprofits and foundations leaning into these changes. The graphic complements those used by Lucy Bernholz in her writing and consulting on the social economy. And, donors’ use of a wider range of social giving tools rings true for me, both in my own giving and in that of friends and colleagues in Pittsburgh and other cities. Every few years, Monitor has released a report or toolkit helping donors and foundations look ahead. 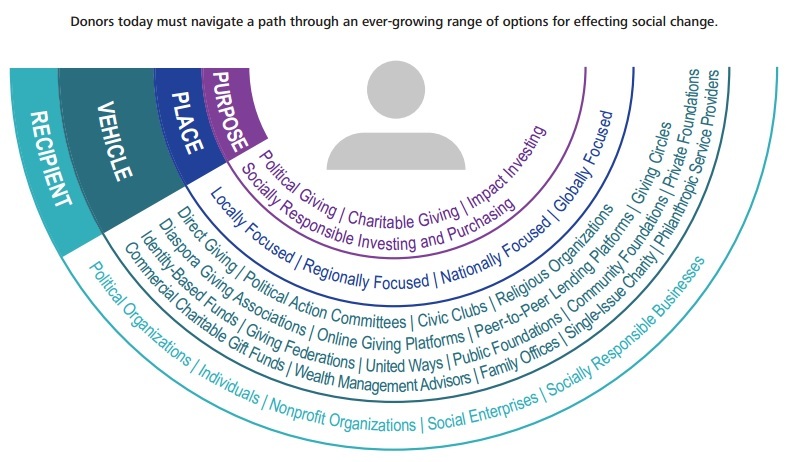 Before the new toolkit, it released What’s Next for Philanthropy: Acting Bigger and Adapting Better in a Networked World in 2010. Foundations and donor families that I knew largely ignored the report. Perhaps my set of relationships wasn’t a good gauge of the larger universe of grantmakers. Or perhaps the report was the right information at the wrong time, with most foundations, nonprofits, and communities in retrench mode as they dealt with the recession. Unfortunately, they lost the opportunity that crisis presents to significantly rethink an organization’s operations, mission, and processes. It is too easy for grantmakers to ignore documents such as Shift Happens. Some will feel “too small to care” – their values-based giving, passion for existing grantees, and/or internal family dynamics taking priority over any external trends. Many will feel “too big to fail” – using their large endowments and history to bypass or actively work against trends. And others will feel “too shocked to shift” – becoming overwhelmed with the scale of the trends and unable to discern how their grantmaking can react. Courageous risk-taking is not what most people associate with foundations, whose boards and senior leadership are often dominated by establishment types. The current and future generations of donors are more diverse and likely more collaborative than their predecessors. Hopefully, they’ll lead the way in more nimble, creative responses to the signals from the future in Shift Happens.